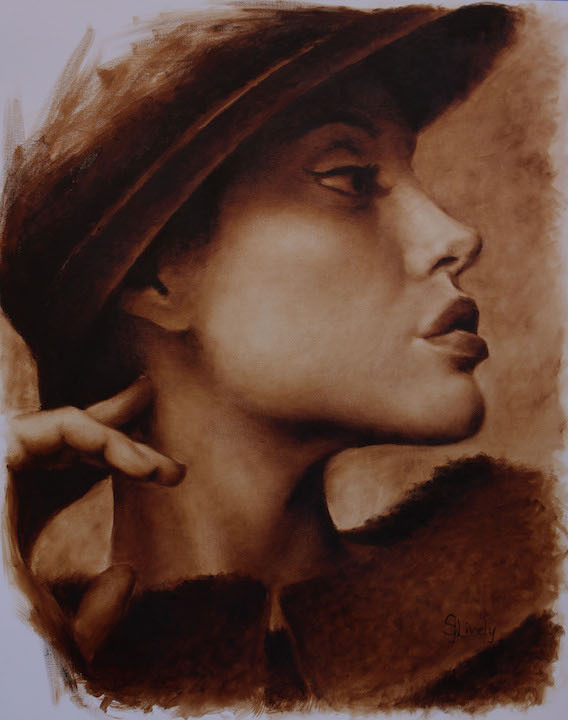 I am a representational artist who specializes in portraiture and the human figure. My craft is a playground for my adult self, a space where I can both play and have fun with my work, but also push my limits, experiment and grow. My current work revisits my love of fashion magazines, which first inspired me to draw in earnest. As a teenager, almost every weekend I would pack my table top easel, my pencils and pastels, and the latest issue of Vogue when my family went camping. Now in my studio, I am once again using pictures of celebrities and models from fashion pictorials as my muse, returning to a collection of reference images that I started building when I was in high school. But rather than try to copy exactly what I see, I am now using these images as a jumping off point for experimenting with my brushwork. Having trained academically in oil painting at the Academy of Realist Art in Toronto, Ontario, I am intrigued with technical execution and am actively exploring how to combine a more detailed, polished finish with looser, more playful, fresh and expressive brushwork. I started this journey with dry brush drawing and am now re-introducing colour into my work with a limited palette. When I was a teenager, fashion magazines gave me a creative, aesthetic escape from my life in small town Northern Alberta. The stylized images of women fueled my visual narratives and fantasies. Even today, in a metropolitan space like Toronto, I still look to fashion magazines to find women who inspire me. Strong women. Mysterious women. Playful women who embody whimsy. Iconic women. I am always looking for women who compel me to become a visual storyteller, to interpret their persona through my own artistic lens.